Robert Baesman's Personal Musings on Silicon Valley, End User Computing, IT, etc. 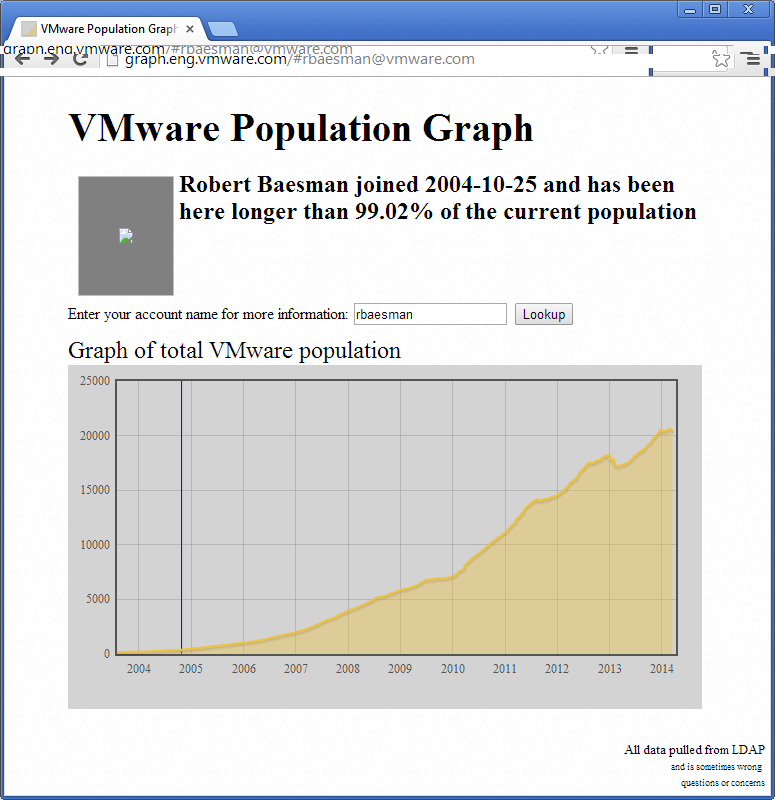 Rob’s Relative Time @ VMware – 99%! It was a very auspicious (though bittersweet) week for me. Friday April 11th marked my last day at VMware, after nearly 9.5 years of service. When I started back in Nov. of 2004, the company was around 600 or some odd people; the products were Workstation, GSX, ESX, Virtual Center, and a recently launched ACE 1.0; the first VMworld had just finished up in San Diego; the VMware campus was split between its “long time” home in 3145 Porter Drive, and a sublease w/Tibco; and I was still a wide eyed, 4 years out of school, software engineer working on various elements of Workstation 5.0. Fast forward to now: I’m a respected leader in a great company of 16,000, and I’m starting at Dropbox this Tuesday! Change of this magnitude is naturally a bit scary, but sometimes the universe seems all in alignment, and the patterns of life scream out that this is the right time and the right place. This was a week of nearly simultaneous public announcements of the next big things for VMware End User Computing with Horizon 6 and Dropbox’s Home for Life. On Wednesday morning, I was subsequently faced with the “good problem” of choosing which launch event to attend: a celebration of the efforts of my past, or a sneak peek to the efforts of my future. Of course the choice was already made, so up to the dogpatch district in SF to learn what all my newly chosen organization had in store. I’ll forgo a bunch of ramblings on what all was announced. 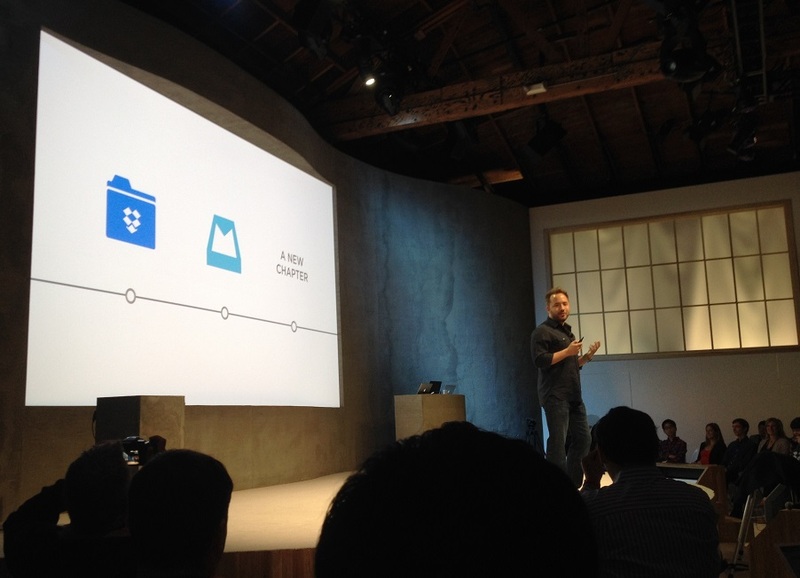 You can read plenty of articles on Dropbox for Business, Carousel, and the rest. But Drew’s remarks on this being an important “New Chapter” for Dropbox hit home for me in ways I’m certain he did not intend Like 275m others on the planet, I’m a near constant Dropbox user and now I have a chance help the product I love grow into something even greater. Also, I don’t think it’s coincidence that Dropbox today is about the size of VMware back in ’04. 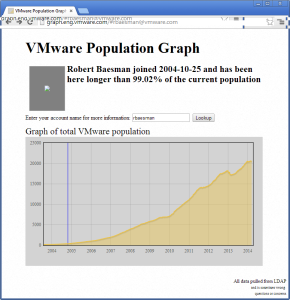 Thank you VMware for a fantastic decade: I will miss you! Thank you Dropbox for letting me embark on my own new chapter with you: I will see you on Tuesday! This entry was posted in Uncategorized on April 9, 2014 by rbaesman. Time to blog for myself! Well, time to get with the program… After several years of idle tweeting, and blogging in an official capacity as part of the VMware End User Computing team, I’m now striking out on my own and further developing my cloud persona as it were. Expect a lot more activity from me in the weeks and months ahead! This entry was posted in Uncategorized on April 8, 2014 by rbaesman.